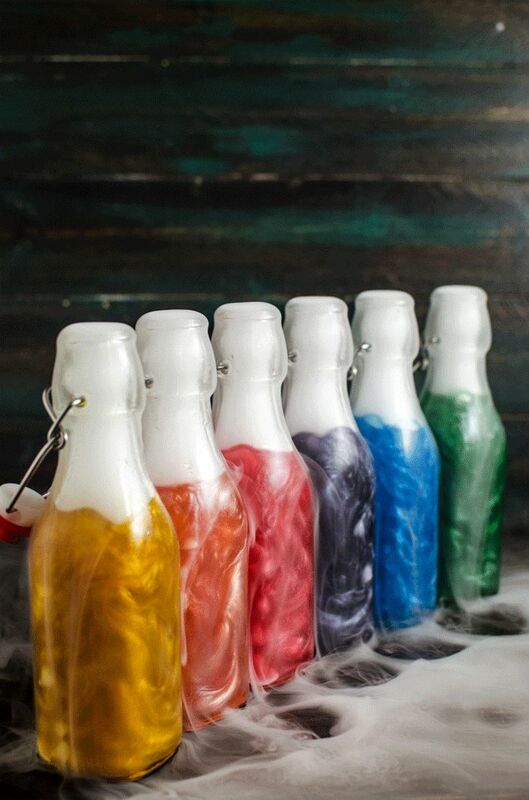 People put the strangest things in bottles of liquor to be sold commercially. We have all probably heard of liquor stores, pubs or other drinking establishments occasionally selling tequila with a worm in the bottle. Be what the history of the mescal worm is: true or false is not my question. 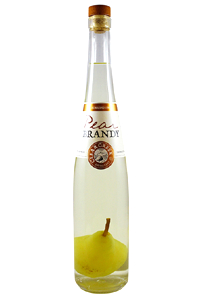 The other day, I was in a local liquor store and noticed bottle of liquor called Eau de Vie de Poire in the Bottle with a real full sized pear inside the bottle containing 40% (ABV) of pear brandy. One can see how they get the pear in a bottle here and here. My question is quite simple: What other things are sold in bottles of liquor or liqueur commercially other than fruit or possibly worms (tequila)? You can see pretty much anything in the bottle. This article provides a good first look (trigger warning!). Besides the stuff described there I witnessed bottles with exotic fish, giant prawns, and kelp. I even tasted some of them; we were not amused. 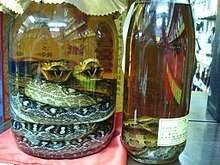 Habushu is a common Japanese liqueur, where they put snakes inside the bottles. There are two methods of inserting the snake into the alcohol. The maker may choose to simply submerge the snake in the alcohol and seal the bottle, thus drowning the snake. Alternatively, the snake may be put on ice until it passes out, at which point it is gutted, bled and sewn up. When the viper is thawed and awakens, it will quickly die in an aggressive striking manner, which is what most producers look for. The manufacturer will then put the habu in an ethanol bath for a month to preserve it. Pit vipers immersed in a bottle of habushu. "Goldshlager" has little flakes of gold leaf, which is used for wood signs, and glass. Gold leaf is expensive to purchase at the art supply store, and expensive for the customer who wants gold leaf pounded onto glass, or a customer who wants a sand-blasted redwood sign with gold leaf. 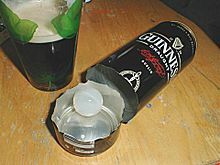 The spherical plastic widget (yes, that's its official name) found in bottles and cans of Guinness stout. I don't fully understand the physics, but it seems the point is something about generating a smooth and creamy head when the beer is opened and poured. The "one-of-a-kind shimmer" found in Viniq fruit liqueur. This how-to blog post convincingly theorizes that the source of the shimmer is luster dust, more commonly used as an ingredient in cake frosting. Is it true that Rodenbach beer should be drank with a shot of cherry liquor? Do you recognize these foreign bottles?